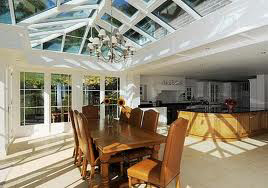 What type of conservatory is best? That’s a bit like asking “how long is a piece of string”, there is an answer, but its not necessarily going to tell you much. The best type of conservatory is the one that suits your needs and your budget and there are a lot of combinations in the market. and more variations of each particular style, such as glass or tiled roofing, full glass or dwarf walls, and so it goes on. BTW – how long is a piece of string? – twice as long as half its length!